Active Directory (AD) is the underpinning for most organizational permissions. Most of the time, users and admins may not pay attention because it just works behinds the scenes, but when there are issues, everyone knows about it in some capacity. From not able to log on to your computer to checking emails on your mobile device to open network files, AD problems can cause a lot of problems and chaos if something goes wrong. SolarWinds Server & Application Monitor Active Directory monitoring can help ensure AD is behaving correctly. 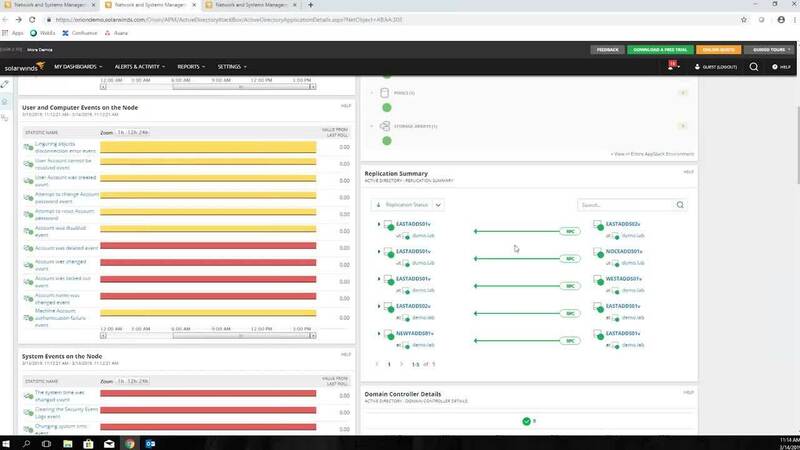 From monitoring replication, to AD roles and site information, when problems arise, you’ll quickly know where to focus your troubleshooting efforts.